Anthony Peburn graduated from the University of Hartford in 1998 with a Bachelor of Science degree in physical therapy. 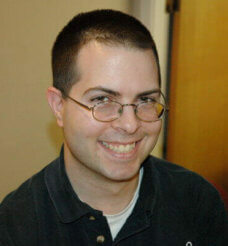 He joined the Carlson Therapy Network team in Bethel, CT in March of 1999. Anthony enjoys working with patients who have sustained orthopedic injuries including athletic injuries, spinal problems, headaches, chronic pain, and injuries from motor vehicle accidents, arthritis, and TMJ dysfunction. In addition to the hundreds of hours he has spent expanding his knowledge of Manual Therapy, Anthony has also advanced his education by passing the National Strength and Conditioning examination through the NSCA. He uses his exercise background in conjunction with various soft-tissue (IMT) techniques to help patients achieve maximal potential.